Homicide detective Dennis Gafford was one of the two detectives to take control of the crime scene, confront Preston in his apartment, interview him at the police station, and extract the first confession. Of the two homicide detectives, Gafford and Bloyd, Gafford was by far more directly involved. His testimony is so long that I will present it in two posts. This post will present his testimony during direct examination by DA Noll. The next post will present his testimony during cross examination. 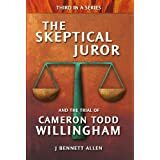 The transcript of his entire testimony is available in two parts at Skeptical Juror Docs, here and here. The first link provides the entire direct examination and a portion of the cross examination. The second link provides the remainder of Gafford's testimony, taken after a defense witness was questioned briefly outside the presence of the jury. I present Sgt. Gafford's direct testimony in narrative format below. I'm Sergeant Dennis J. Gafford. I'm with the Houston Police Department, assigned to the homicide division. I've been working homicide a little over four years. Before homicide I worked in narcotics for a year and a half and in radio patrol for about five years. I was working the night shift on September 26, 1988. The night shift nominally runs from 11 p.m. to 7 a.m. If we begin an investigation, we work as long as we need to wrap up the things that we're involved in, then we pass it onto another detective on the day shift. They continue with anything that needs to be done during the day. My regular partner is Sergeant Bloyd, and we were working together that night. At about 11:55, we received a call concerning a homicide on the far west side of Houston. 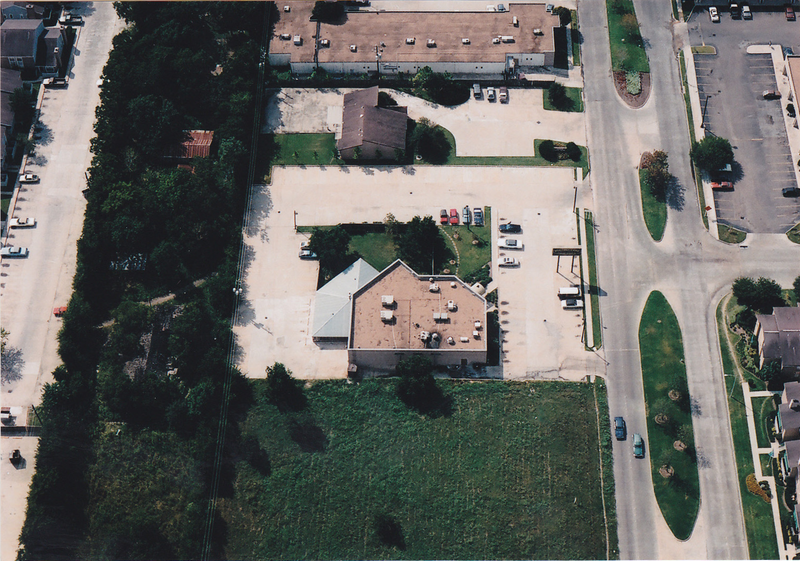 We were given the location of 2475 South Kirkwood. 2400 block is where we ended up, and it's a Fuddrucker's restaurant at that location. The scene that we were directed to was directly behind that restaurant on a grassy -- on a field, path through a grassy lot toward an apartment complex. We arrived out there at about 12:30. We were escorted into the field by patrol officers who had received the original call and they led us down the path behind the Fuddrucker's and we first came upon a bloody area in the path. They led us past that point to, say, another 20 feet or so. At that point, we found the body of a 3-year-old boy. He was deceased. There was a crime scene unit officer at the scene, Officer Hale. The crime scene units are detailed specifically to collect evidence, take photographs, fingerprints, anything having to do with the evidence we locate at the scene. They're the ones that will recover that evidence and process it and send it to its final destination, labs or whatever. In addition to the crime scene unit officer, there was a Sergeant Hamilton present. We spoke with him. Based on that conversation and what we observed at the scene, we went to the Lakehurst apartments. That's directly behind the trail. That's actually where the trail leads to is the rear of that complex. 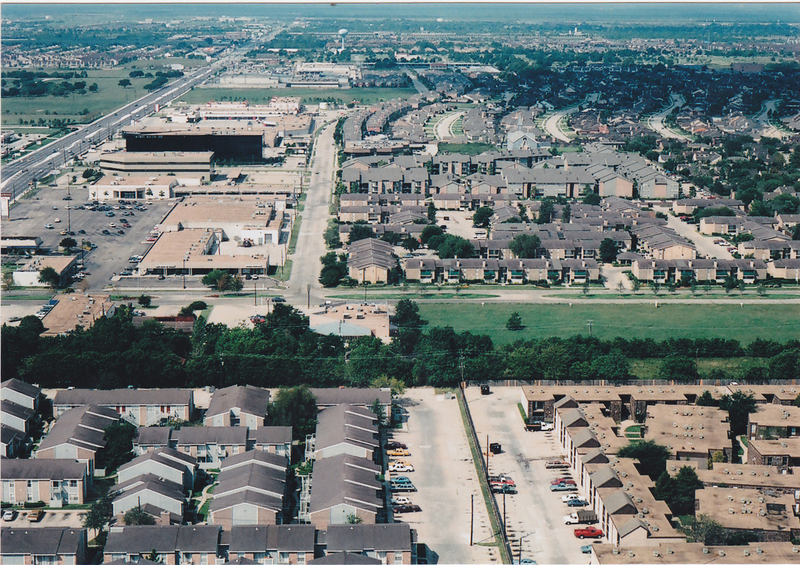 It's 2310 Crescent Parkway, I believe, and we talked to security personnel for that complex, a Mr. Marshburn and a Mr. Guajardo. We spoke with them, asked them if they could allow us to to show pictures -- we had taken a Polaroid photo of the little boy. We didn't know who he was at that point and were trying to identify him and so locate the family that was possibly somewhere in the complex. So we took a Polaroid photograph of the boy to the assistant manager of the complex, and she could not identify him, said that she's not sure who he was. We didn't have a photograph of the young girl. She had been taken -- prior to our arrival, she had been taken to the hospital by an ambulance. We then asked if they could provide us with a list of residents to the complex. It would have been later than 2:30 at that time. We did our preliminary investigation before we left the scene, talking to a few people in the area, seeing if they had seen anything and tired to make sure that everything was going well, as far as the processing of the scene. It was after that that I went over and talked to the security guards and assistance manager at the Lakehurst Apartments. When we went to the Lakehurst Apartments, we had the name of a suspect in mind. It was the name we received from Sgt. Hamilton: Preston. We didn't have a last name. The only reason we had to think that Preston or the offender might be in the apartment complex was that the trail led from the Fuddrucker's to the apartment complex. We figured that would be a reasonable place to check to begin with. 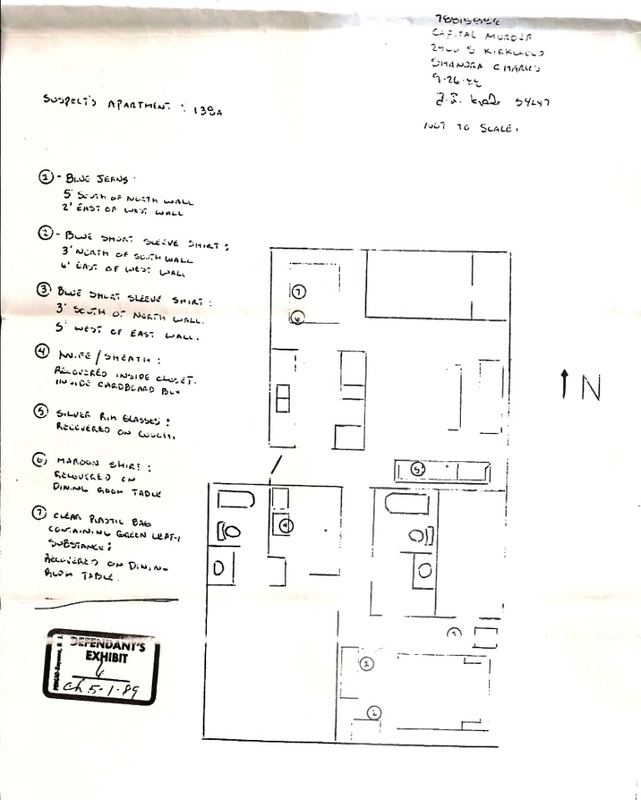 Looking through the records of the apartment complex, we located one individual in the entire list with the name of Preston, and that was Preston Hughes. The information included his apartment number: 138-A. We went to the complex office and we met with Joe Casler, who was the manager of the complex, and asked him if he could pull his files on Mr. Hughes. We looked over the files and obtained identifying information -- the driver's license number, date of birth, social security number, the type of vehicle that he had had, this type of thing -- and recorded that information. After we completed doing that, myself and Sgt. Bloyd and Sgt. Hamilton approached the apartment. I believe the apartment complex security officers went with us. I believe there was a uniformed patrol officer that stayed downstairs, but he didn't go up with us. The apartment was upstairs and there was a balcony door that we allowed or asked the patrol officer to keep and eye on as we went upstairs and it was myself and Sergeant Bloyd and Sergeant Hamilton that went upstairs to the apartment. I knocked on the door. There was no response for several minutes and we decided to ask Mr. Guajardo, one of the security officers at the complex, to go back to the complex office and see if you could find a telephone number for Mr. Hughes. And he went back there, returned three or four minutes later and said that there was no phone number listed. During that entire time, I continued to knock, and this, I guess, is a period of eight to ten minutes now. Finally, Mr. Hughes did open the door. I don't think he said anything first. I believed that first thing that happened is I asked him what his name was, and he said that he was Preston Hughes. I told him that I was a police officer, that I was in the homicide division, and we had Sergeant Hamilton with us. He was in uniform, the regulation uniform for the police department. We asked him if we could come in and talk to him for a moment. He said that was fine. So we walked in, and as we entered the apartment, there's just kind of an entryway that connects the whole apartment together. There's a hallway going off to one side, the living room behind and the kitchen to the left. We stood in that area and talked for a few minutes. As we walked in, I looked to the left and there's a kitchen and a dining room beyond that and where we were standing, the living room was directly behind me. As a matter of fact, I was standing beside a couch. I could see down a hallway which led to the bedroom and bathroom. We did not have a search warrant at that point. We had no intention of searching his apartment at that point. We did not search his apartment at that point. After we entered and identified ourselves as peace officers, I asked him a number of things, identifying information to verify the information that I had already recorded from his lease agreement; and as we continued talking, I asked him questions about where he had been tonight, if he had any problems with anyone. And to each of these questions he responded that he hadn't had any problem with anybody, that he had been out and he had gotten home, was watching TV and he was in bed at the time that we came. I felt at that point that there was a possibility that he was a suspect, but we had nothing to substantiate that at that point. All we had was the name of Preston. And so, we didn't know if he had any knowledge of this complainant, you know, if there was any relationship there. We didn't feel that we had enough information to arrest him. I asked him then if he would accompany us voluntarily down to the police station. As I said, we had no reason to arrest him at that point. I just asked him if he would accompany us on his own, and he stated that he would. He was very calm, didn't act excited about anything, spoke matter-of-factly, didn't give us any reason to suspect anything the he said. It was a little bit odd that he never asked us why we were coming to his door asking him questions. When I went to his apartment, there was nothing else I could see. I don't recall if the television was on or if a radio was on or if there was anything going on in the apartment. There were lights in the area that we were in, right in the entryway of the front door, and I assume somewhere in the living room because it was well lit in there, but I'm not sure about the rest of the apartment. Once he agreed to go downtown, he asked if he could put some clothes on. He was wearing a pair of gym shorts at that time. And we said yes, that he could. He went to the bedroom and changed. Sgt. Hamilton, I believe, went to the doorway when he was changing. At one point, I may have gone down there as well. I think I may have been at the doorway of the bedroom at some point also. There is nothing unusual about an officer accompanying someone who is a possible suspect to the bedroom to change clothes. For our own safety, we would not let them just roam around on their own. After he was dressed, we allowed him to secure the door of the apartment, walked out. He was the last one coming out. He locked the door as he came out, he kept the key, and we all left the complex. He was escorted to a patrol car where he was seated and taken down by a patrol unit. We got in our car in a different part of the complex and went down, also. He was not handcuffed. He was placed in the back seat. If at that point he had said "No, I'm not coming downtown," we would have left him there. We had no reason to take him if he wouldn't come voluntarily. We did not go back to the apartment. We went to our unmarked car, which was parked over by the manager's office, and got in it and drove down to the station from there. At no point while we were in his apartment did we conduct any search of his personal effects or property. I did look around and just scanned the apartment, but didn't move anything or do anything unusual. I observed something that I felt was suspicious, but didn't know anything -- know what it was at that point. I observed a pair of eyeglasses that were stuffed between the cushions of the couch. They were partially protruding from the couch. I could see those. The couch was located directly beside me in the living room. That's where I was standing talking to Mr. Hughes. When we arrived at the police station at 61 Riesner, we placed the defendant in an interview room, and then did some background checking and some computer checking to make sure that I could -- well, to note everything that I could before I went to the point of interviewing him. The interview room is just a small office on one side of the homicide division office that is -- there's no windows and it's just about a five foot by eight foot room, something like that, with a door, a table set inside with a typewriter on it and a couple of chairs. 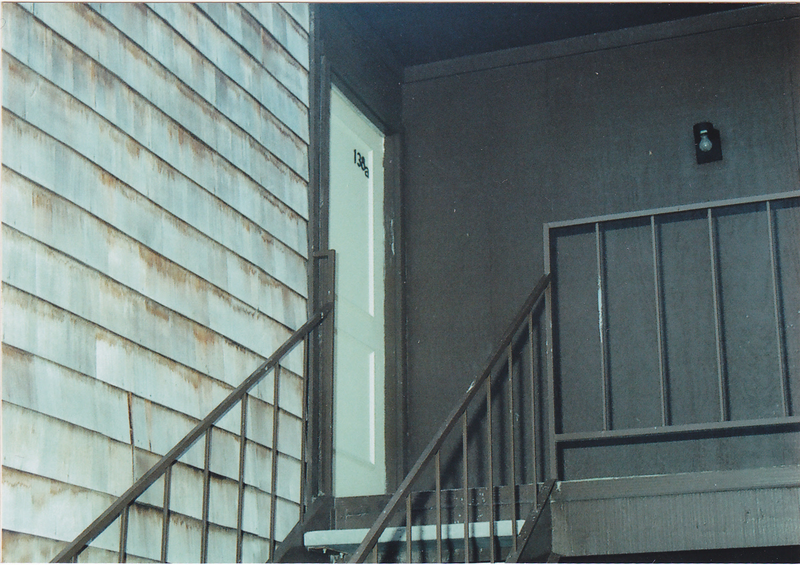 The main office of the homicide division was just an open room. There's modular furniture and walls set up in the middle of this room. On each wall of the room, there are offices set off to the side. Most of those are used by individual sergeants. They're equipped with computers and desks for the different sergeants, but there's two specific rooms off to one side that are used primarily for interview rooms or holding rooms when we bring somebody into the division. So the main office is a big open room such as the courtroom is and in the center of that room are these -- I guess people have seen more of it in offices where people are divided up in the little cubicle areas about five feet tall. So any sergeant or any person, member of the public or news reporter happening to be visiting in the homicide division would be right outside the interview room. The defendant was never handcuffed. He just was escorted in there and asked to have a seat. He sat down, the door was closed, and he was left there. I asked him if he needed anything. He didn't say anything or didn't ask for anything at that point. And so, I begun just talking to him. Mr. Hughes came voluntarily from his apartment to the downtown station in a patrol car. The patrol car had a cage separating the backseat from the front seat. There are handles in the back seat but they don't work. Any person in the back seat of the patrol car could not get out unless someone on the outside opened the door. We were at his apartment at approximately 2:30 in the morning and then were there, I would say 20 minutes, accounting for the time he got dressed and all. At 4:10 I went in to interview him. My report does say that he was being held. If, however, he wanted to get up and walk out of that interview room at that point, we did not have enough to arrest him. He could have left if he wanted to. At this point I began to question him. I asked him again for all of his information -- name, birth date, social security number, this information -- and then began to ask him about whether or not he knew an individual by the name of Shandra Charles, Marcell Taylor and he stated that he -- I'm sorry. At that point I believe we had her name as Shawn and I asked him if he knew a girl by the name of Shawn and he said that he did. I didn't know if the Shawn that he was talking about was the one that was involved in this incident. So I continued to ask him questions about her. I asked him to describe her for me and he said that she was yellow skinned, light skinned, that she was approximately the age limit -- I don't recall the exact age he said, but it was an age of this complainant -- and asked him to describe the way she wore her hair and he said she wore it in braids. I felt it was definitely the correct Shawn that we were speaking about. He said that the fact that she wore her hair in braids is the way that this Shawn wore her hair, the age range being the same. He also mentioned that she was a friend of a girl by the name of Evelyn who lived at the complex and I had spoken to the security personnel out there at the complex. The fact that the defendant knew a girl named Evelyn became of significance. I decided at that point that we were talking about the right Preston that was related to us from Sergeant Hamilton and decided that we did have enough information at that point to arrest Mr. Hughes for this investigation. I told him he was under arrest. I immediately read him his Miranda warnings and explained those to him. At this point, he was no longer free to leave. He was under arrest at that point. When I read him what we call the Miranda warnings, I am referring to the warnings on the blue card furnished by the District Attorney's office. I have one of those blue cards with me. It is the same card I used to advise Preston Hughes of his rights on the morning of September 27, 1988. The first one reads: "You have the right to remain silent and not make any statement at all and that any statement you make may be used against you and probably will be used against you at your trial." The second one reads: "Any statement you make may be used as evidence against you in court." Third one: "You have the right to have a lawyer present to advise you prior to and during any questioning." Fourth one: "If you're unable to employ a lawyer, you have the right to have a lawyer appointed to advise you prior to and during any questioning." And the fifth one: "You have the right to terminate this interview at any time." Each time I read one of the warnings to him, I asked him if he understood that. He said "Yes, sir," each time. I formed an opinion that he was of average intellect. He did not appear to have any inabilities. He did not stop me at any point and ask what any word meant. He did not ask to speak to a lawyer. He did not tell me that he did not want to talk to me any more. He did nothing to indicate that he did want to continue with the interview. At that point, after he had -- I asked him at the end of that if he wanted to waive those rights, and he said that he would, that he wanted to talk to me about it, that he hadn't done anything. I left the interview room for a few minutes to confer with Sgt. Bloyd to see if he had gained any new information since the time I had been in there with Mr. Hughes, and Mr. Hughes asked if he could have a cigarette. I obtained one for him, and he smoked a cigarette in the room while I was talking to Sgt. Bloyd. After I talked with Sgt. Bloyd I went back into the room and continued the interview. I spoke to him at length about anything he would tell me. I asked him questions about Shawn, about how he came to know her, what his relationship was with her. He related this information to me. He was very calm. I believe the situation was a girl by the name of Evelyn was -- Evelyn Brown, who lives at the complex, is a friend of this Shawn. His cousin, who is Shawn Graham, is also friends with these two girls, and it was through that relationship that he came to know the complainant, Shandra Charles. He did not indicate that he had any knowledge concerning what had happened to Shandra and Marcell. He eventually agreed to make a written statement concerning what he knew about the case. As we went along, I would ask questions -- well, first off, went through the entire scenario with him, getting his information and all, spoke to him at great length about he entire episode. He would talk to me, and we would just -- it was more or less a conversation and once that part ended, I asked him if he would make a written statement and he said that he would and from that point, I went back to the beginning where he -- and brought up points that he had started off the conversation. I would talk to him, ask him questions and to tell me what had happened. So that he would begin again, and we would take it line by line. I would type it as he said it, and we would agree on what was to be put down. I would type it out and just the entire statement went that way. We eventually completed an entire statement. The three page document that you show me is the statement that the defendant made that I typed. The first page reflects the date and time I started typing the document, which was September 27, 1988 at 0555 hours. That's 5:55 a.m.
Each page contains a time entry on the top right-hand side of the paper. That's the time I started the page. I began the first one at 5:55. The second page I started typing at 0613, which would be 6:13 a.m., and the third page I began typing at 6:33 a.m. There's entries at the bottom where the witness signatures are, and they signed that document at 7:15 a.m., indicating that's when they -- the statement was ended just shortly prior to that. At the top of the page in all caps is the "STATEMENT OF PERSON IN CUSTODY". Underneath that is some pre-typed form language, the legal warnings that I read to him earlier. He was given the paper and was allowed to read those warnings. I also read them aloud to him. He said he did understand them and he wanted to waive those rights and would talk to me about it. I gave him a chance to read through the entire statement and to make any changes or alterations which he wanted to make in the typed statement. On the first page of the statement, there is a section in the middle of the second paragraph that he said was incorrect. He told me what he wanted to put down there to make it the way he wanted it worded. And so, I scratched through part of a line and a small portion of another line and wrote above that in pen the words that he wanted there, and then he initialed that to show that that change was at his authority. And then on the third page of the statement on the top line, I left out a word and he brought that to my attention. We added that, and he, again, initialed that. I called two sergeants from homicide division into the office and asked them to act as witnesses to the circumstances of the statement and so they could question him about the statement. There had been no one else present in the room, other than the myself and the defendant, during the time I typed the statement. Sgt. Bloyd had been in the room when we initially went in to speak with the defendant right as we got to the homicide office and began the initial interview. After the point that Mr. Hughes was arrested, Sgt. Bloyd no longer remained in the room; and I was in there by myself speaking with him and typing the statement. He, Sgt. Bloyd, was in the outer office as were a number of sergeants. I wouldn't have had my jacket on, but I was wearing a suit. Sgt. Bloyd was also in civilian clothing. I had my gun on. I'm sure that I wore it into the interview room. At no point did I ever threaten Mr. Hughes to get him to talk with me or to sign the statement. At no point did I ever say anything to him to promise anything, any leniency in order to get him to talk with you or to get him to sign this statement. At the time we spoke to him at the scene, we didn't go into great detail about the offense. When we had him in the homicide office, I advised him that we were investigating a murder case, and then again, at the time that he was placed under arrest, I advised him he was under arrest for capital murder. When I told him that, he gave very little reaction at all. His demeanor changed only at one point. He, during most of the interview, had no reaction at all, very calm and didn't express any emotion. there was only one time that he did. During the questioning, at one point, he started weeping and saying that he didn't wan't to go to jail and that was the only time that he ever showed any emotion. He composed himself after that. It was a very short-lived kind of thing. He broke down for just a second there and was just saying that he didn't want to go to jail and he was silent there for just a few seconds, probably maybe 30 seconds after that and then again we began talking and he was fine after that. Again, I did not promise him anything to get him to start talking to me. I did nothing to indicate that if he talked to me or gave me a confession, things would go easier on him. No one, while I was present with the defendant, made any threats to him, hit him, promised him anything or had any contact with him. After he agreed to sign the statement and looked over the statement, I asked Sergeants Smith and Ross to come in and witness the statements. I was there for the first few minutes after their introduction. Then I believe I stepped out the door. I don't think I ever just went completely away, but I was in the general area there. Actually, after each page that I typed, I would give it to him and allow him to read over that particular page. When that page was completed and he agreed with the way that it was, then he would sign that page; and then we would do the same thing with each subsequent page. Once they came into the room, they went over the statement, asked him if it was his signature and then asked him to do a few other things on the paper. After the statement was completed, I, again, left him in the interview room for just a few minutes and went out, talked to Sgt. Bloyd and the other detectives that had been assigned to assist in the investigation, just to see if anything new had developed. And after this statement was completed, I believe I presented to him a form which was a document entitled a voluntary consent to obtain samples: blood samples, urine samples, different things of that nature. I also at some point asked him to sign a consent to search his apartment. I had done that before we actually started the typewritten statement. He signed that consent. He said that he had nothing to hide, that he would sign it. Those voluntary consent forms were both witnessed by Officers Bloyd and Ross. The voluntary consent for search and seizure was executed at 5:30 a.m. The consent for the taking of samples of blood, ring, and hair was taken just around 7:43 a.m.
Those forms are kept in reams for our availability over at the homicide office. However, occasionally we will run out of those forms, and when we know we're getting low on the forms, we'll make xerox copies of the ones we have, just to keep us going until we get new forms in. I filled in the blanks on the xeroxed form. Preston Hughes signed the document. After he signed the voluntary consent form, I myself did not have an opportunity to go search his apartment. At the time he signed that form, no search of his apartment had yet been accomplished. Likewise, no blood samples or any other samples had been taken from him. At that point, I spoke with Detectives or Sergeants Ferguson and Yanchak who were going to continue the investigation on the day shift. We had a number of reports to complete on the initial scene investigation and the follow-up that we had done to that point and basically they were the detectives that were going to continue from there. We updated them on everything that was happening to that point and allowed them to go to the defendant's apartment. We put in considerably more than 12 hours, putting in reports and all, but we were around the division there for some time after that. We were aware that later the same morning, the defendant made another statement concerning the events of September 26, 1988. We did not participate in the taking of that statement. We did talk with Sgts. Yanchak and Ferguson concerning our dealings with the defendant. We kind of debriefed those guys on what we had done up to that point in our investigation. During the morning, we discovered the names of the two victims involved in the case. They were Shandra Charles, the 15-year-old, and then Marcell Taylor was the 3-year-old. I had spoken on the phone to the security personnel and then the -- I believe it was Sgt. Ross and maybe one other sergeant that went out to the apartment complex to meet with the parents of the victims. I did not personally meet with the parents. Beyond taking the statement, debriefing Sgts. Ferguson and Yanchak, and completing the reports, I don't believe we did anything further. 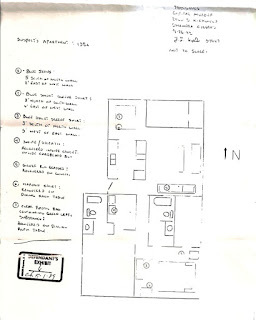 DA Noll showed Gafford and the jury State's Exhibit 13, a photograph which he described as the top of the landing of the Preston Hughes' apartment. I suspect that photograph is the one I include below. 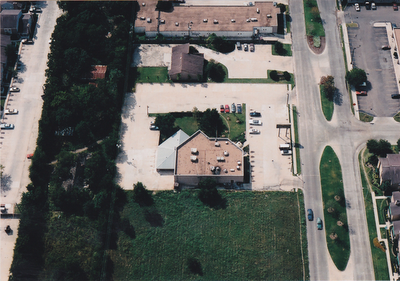 DA Noll showed Gafford and the jury State's Exhibit 14, a photograph which he described as more clearly showing the path between Fuddrucker's and the apartment complex. The photograph was taken during the daytime and shows the path along which Shandra and Marcell were found. I suspect that photograph is the once I've included below. It is the only aerial photo showing any fraction of the narrow trail on which Shandra was found. The trail of interest runs from the lower left corner of the Fuddrucker's parking lot to just beneath the fence you can barely see at the lower left corner of the picture. DA Noll also showed Sgt. Gafford and the jury State's Exhibit 5, just as he had shown that exhibit previously to Officer Cook and Sgt. Hamilton. I repeat the photograph below. Sgt. Gafford identified Preston's apartment as being near the red truck. He described the distance as 100 to 150 yards from where the bodies were found. DA Noll also showed Sgt. Gafford the eyeglasses that were recovered from between the cushions of Preston's couch. Gafford agreed that the glasses shown to him were the same ones he saw in the apartment that night. DA Noll showed Gafford the three-page document that constituted Preston's first statement. Gafford agreed it was the confession that he typed and Hughes signed. DA Noll showed Gafford State's Exhibit 1 and State's Exhibit 2. Exhibit 1 was the consent for search and seizure form. Exhibit 2 as the consent for taking of bodily samples form. Gafford agreed they were the forms that he filled out and that Hughes signed. I do not know if the jurors were allowed to take notes. I certainly do not know what any of them noted, either mentally or on a notepad. 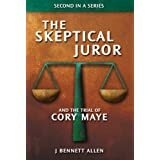 I offer below some of what I may have noted if I had been sitting as a juror. 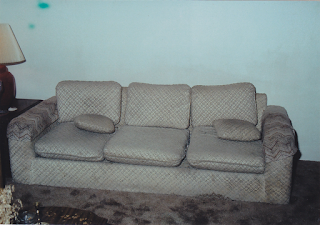 gafford observed glasses btwn cushions in couch; how if dark? was it dark or light? at his apt at 2:30; earlier said 30 min after he arrived at 12:30 ?? why all the talk about xerox forms? In their police reports, both Sgts. Hamilton and Gafford reported that they went to the Lakehurst Apartment complex because Shandra told Hamilton that Preston lived at Lakeside. During trial, both Hamilton and Gafford claimed they went to Lakehurst because it was at the end of the trail on which Shandra and Marcell were found. The jury would never learn that the other apartment complex adjoining the field was named Lakewood Village apartments. The jury would never learn that there was a housing complex nearby called Lakeside. The Lakeside Green Condos were located just north of the field. The jury would never learn that Sgt. Parham was at the crime scene when Gafford and Bloyd was alive, that Parham may have been the supervising patrol sergeant, and that Hamilton may have inserted himself into the case. Gafford said he hung around the crime scene for 30 minutes. During that time he talked to the few people in the area who may have seen something. 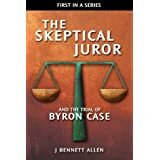 The jury never learned the names of those few people who may have seen something, nor of what they had to say. For that matter, the names of those people (and what they had to say) remains a mystery to this day. Item 1: Gafford provides conflicting times regarding the time he spoke with the assistant manager. At first he said it was 30 minutes after he arrived. That would be 1 AM. Later Gafford testified it was soon before he reached Preston's door, which he claimed to be at 2:30 AM. Recall that Hamilton testified they arrived at Preston's door at 12 midnight, maybe 12:30 PM. Item 2: Gafford said the living room was well lit as he waited for Preston to change clothes. Hamilton said it was so dark that he could not have seen anything if he looked. Gafford said he noticed the eyeglasses between the cushions of Preston's couch. Gafford said he stood beside the couch. That seems unlikely. He said that he stood where he could see down the hallway to Preston's bedroom, with the living room directly behind him. 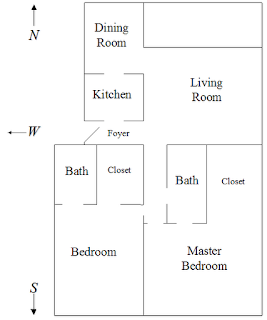 Consider Preston's apartment floor plan, presented again below in the sketch Officer Hale created and in the sketch I created. 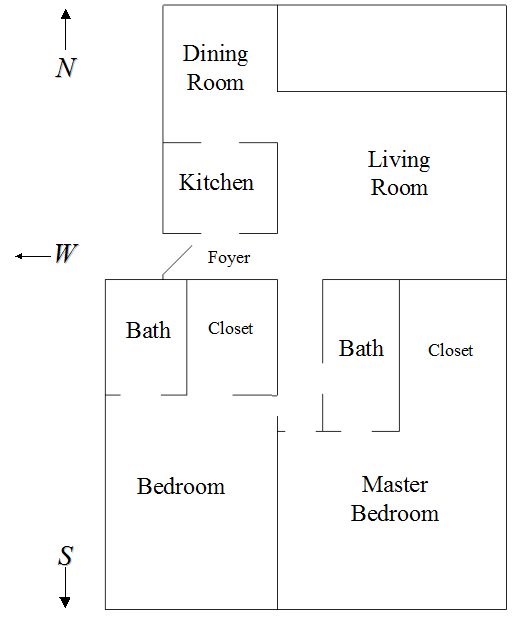 If Gafford stood where he could see down the hallway to the master bedroom, with the living room directly behind him, as he testified, he could not have been standing beside the couch. It would have been behind him. Whether or not it was dark (as Hamilton swore under oath) or light (as Gafford swore under oath), Gafford could not have been standing beside the couch, nor could he have likely seen the glasses wedged between the cushions of the couch. Gafford claimed not only to have noticed the glasses, he allegedly saw them clearly. In his police report he wrote: "Sgt. observed a pair of eye glasses partially stuffed between the cushions of the couch. The glasses appeared to have silver colored frames with round eye-pieces." Consider the image below taken in the daylight by Officer Hale. The glasses are nearly impossible to see. Gafford would have been to the right of image, the couch behind him, the room so dark that Hamilton could not see anything if he had looked. It seems likely that Gafford perjured himself at least on this point.